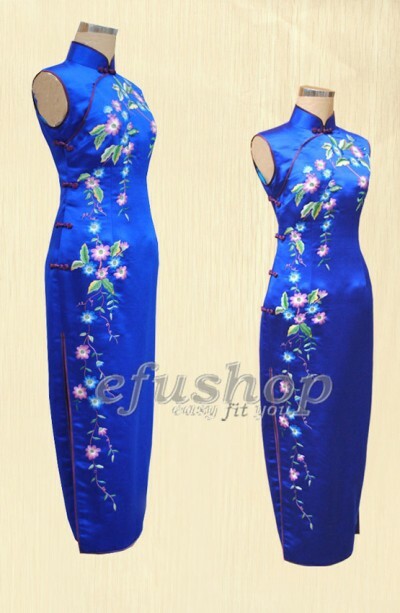 Royal blue silk brocade with embroidery cheongsam dress. Sleeveless style, mandarin collar. Gourd buttons at collar and side opening. Double slits. Elegant style.